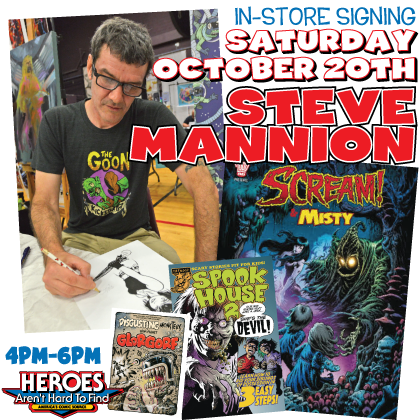 THE HEROESONLINE BLOG | IN-STORE SIGNING OCTOBER 20TH with STEVE MANNION! IN-STORE SIGNING OCTOBER 20TH with STEVE MANNION! 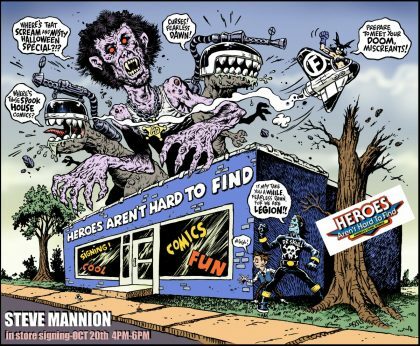 HEROES is excited to host an IN-STORE SIGNING with STEVE MANNION on Saturday, October 20th from 4pm-6pm! Steve is the artist for GALAKTIKON from Albatross Funnybooks, and currently has a story in Issue #1 of SPOOK HOUSE 2 (out NOW!) as well as the 2000 AD Halloween Special of SCREAM & MISTY which will be available the day of the signing!